gpsfun: This event is far in the past. 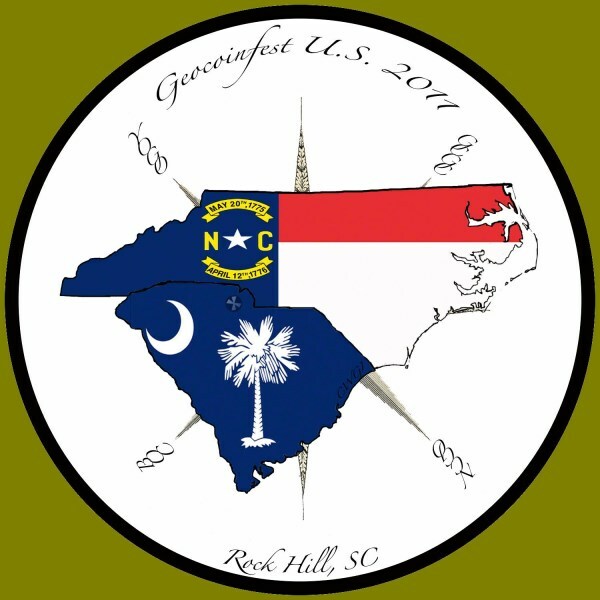 We were honored and privileged to have been selected to host the 5th annual Geocoinfest event here in the Carolinas. Rock Hill, SC would like to thank you as well. You have all shown what a pleasure it is to be a part of such large community of individuals who enjoy the company of others. We would like to say big thank you to all who supported us by attending the events throughout the weekend, to those who sponsored these events, to the vendors, and to the volunteers who gave of their time during the events to help. We couldn't have done it without each and every one of you and to that we are grateful. We hope you enjoyed your time in and around Rock Hill, SC and hope that you were able to leave with more memories than you came. Perhaps even a few unforgettable ones. Remember, Nothing Could Be Finer! PS. Click on the banner below to begin your trip to Colorado. October 14th - 16th in Rock Hill, SC. For more in depth information about the main event, other events, hotel reservations, registration and more, please visit the Offical Website from the links above. Also, click on over to the GCF US 2011 forums to discuss the happenings in and around the main event on Saturday. If you would like immediate updates, make it social by checking us out on Facebook or Twitter as well. When new information is available, we will send out an announcement, so watch this page to stay informed over the coming months. We are looking forward to making this Geocoinfest U.S. 2011 event the "must-be-at" event of the year. The schedule below will be updated as we progress. There will be something at Geocoinfest U.S. 2011 that has never been at any Geocoinfest in the past and it's something that all "coiners", new or seasoned, will definitely not want to miss. All that can be said now is it's possibly a "once in a lifetime" opportunity. KEEP WATCHING! We may give hints! 5pm - 11pm Coin Trading is allowed. NO SALES ALLOWED! - You will be asked to leave the trading area if selling occurs. – If you will be hanging out in here York County for a little longer or if you will be leaving us, we would like to invite you to have breakfast with us as a close to a wonderful weekend of fun. For those traveling home, we offer our wishes of safe travels and for those sticking around, feel free to enjoy the area for some great caching.